To me, the garter stitch tab is a little bit of knitting magic. This little triangle is a handy technique to have in your knitter technique toolbox for top-down shawls and today I’m going to show you why I love it so much. When you start a top down shawl you usually start at the very centre and work increases out from that centre point. If like me you like to learn from mistakes then pick up some spare yarn, cast on 3 stitches and try to work increases either side of those edge stitches and centre stitch. You will quickly notice a gap or what seems like a hole forms from where you began working the increases. This is where the garter tab works it’s magic. CO 3 sts. Knit 6 rows. Do not turn on final row, rotate corner 90 degrees, pick up 3 sts along purl bumps, rotate corner 90 degrees & pick up 3 cast on sts. Carol has a lovely tutorial video of this tab in action over here but I wanted to show you some patterns that use this tab to its full advantage. Rose Song is a quick knit lace shawl that is perfect for a last minute gift. Using bulk yarn on 8mm needles you can try out the garter tab and have a shawl in a weekend. The bulky yarn makes this a perfect choice for your first attempt at a tab as it’s easy to see the loops that need picking up when you rotate 90 degrees. If you would like something a little more challenging then let me suggest Penrose Tile. 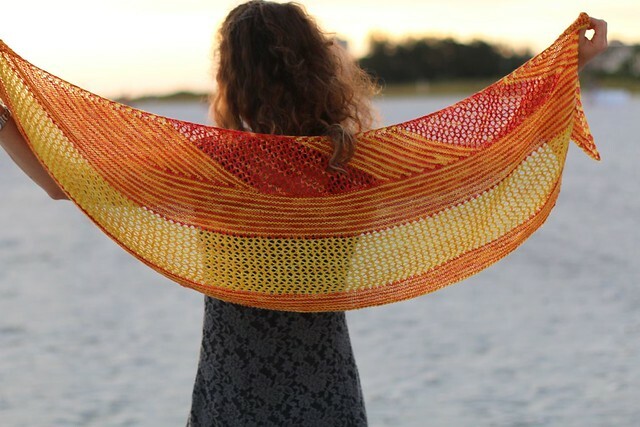 This has a garter tab starting point using alternating skeins of yarn for the stripes which slips seamlessly into the background of the shawl upon completion leaving you with a sense of knitterly accomplishment. 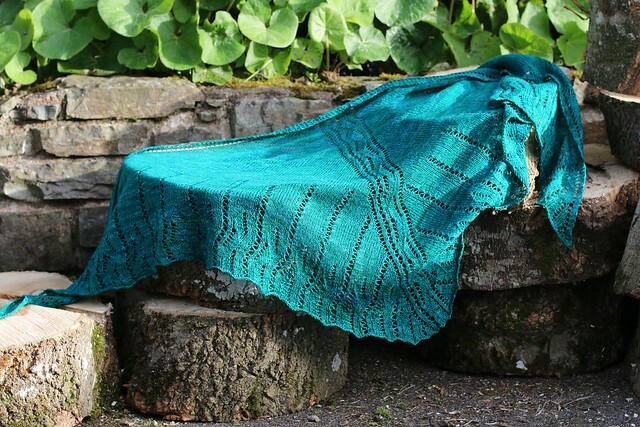 For something a little lighter this summer season, Feamainn uses laceweight yarn on 3.5 mm needles to produce a shawl with a striking lace centre panel where the garter tab is again almost invisible and allows the lace panel to sit flat at the top. You can also inspire me by leaving a pattern idea in the comments below. What’s your favourite knitter technique that you keep in your toolbox? Is there a technique that you are having trouble with? Let me know I’d love to help.